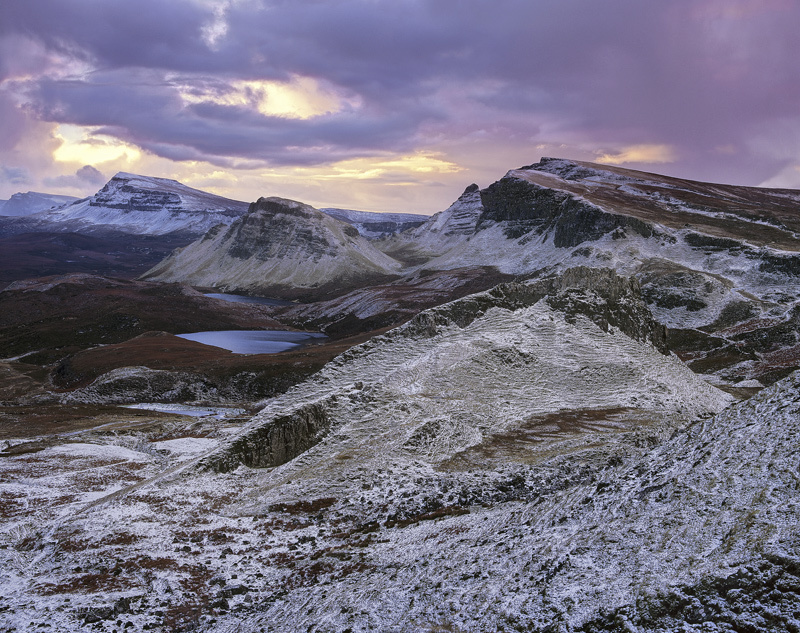 Welcome to my new, and I think best shot of the Quiraing that I have ever had the good fortune to take. The place is magnificent in any season and from many different viewpoints but this is my favourite view with the snow dusted sharks fin in the midground giving way to equally chilly looking snow dusted peaks under multi-hued co-luminous light and not a direct beam of light filtering through anywhere. This place always inspires but it is difficult for me to conceive that it can get much better than this. Maybe a solitary beam of light illuminating one of those peaks bursting through would just about top it, for now this will do nicely.